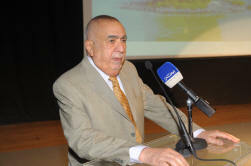 On the occasion of the Environment Day of the Region - 24 April 2012, ROPME hosted a celebration under the patronage of H.E. Sheikh Ahmed Al Homood Al Jaber Al Sabah, First Deputy Prime Minister, Minister of Interior and Chairman of the Higher Council for Environment Public Authority (EPA). 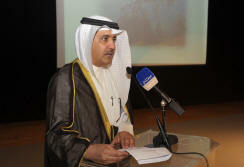 Dr. Salah Mudh’hi Fahad Al-Mudhi’hi, General Director of EPA delivered the Statement of H.E. Sheikh Al Sabah on behalf. He highlighted the important role of ROPME in protection of the Marine Environment and in coordination of National efforts of the Member States. 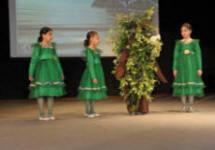 The theme of the Environment Day of the Region was “Let us Protect our Mangroves”. H.E. Dr. Abdul Rahman Al-Awadi, Executive Secretary of ROPME delivered a Statement with a focus on the importance of habitats for protecting the marine life of sea birds, fish, shrimps and other species. A special film was also projected on the theme “Let us Protect our Mangroves”. 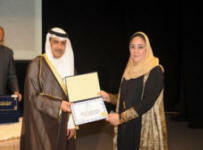 Prizes were distributed to students and certificates of appreciation were awarded to the teachers of the primary schools of Amra Bint Masoud and Abdullah Abdulateef Al Omar.